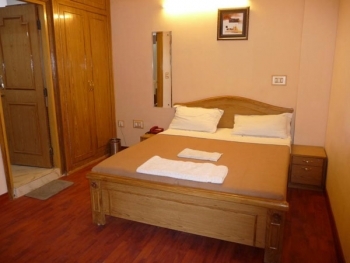 Hotel LandMark offers warm hospitality and homely comforts to all its guests in Haridwar. The hotel have professional attitude and experience in the hotel industry. It has trained, and courteous staff members to take care of the guests. 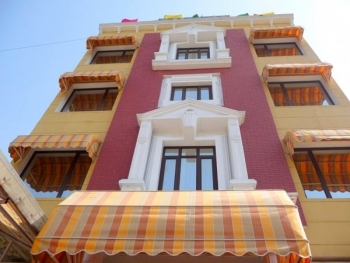 Hotel Landmark is conveniently located on the Main Jawalapur Haridwar Road. Prime location of Landmark hotel provides easy access to Har-ki-Pauri in the heart of the haridwar, Daksh Mahadev Temple in the Khankhal city, and all the commercial market area on the Main Jwalapur Haridwar Road. Our location is one the best among the hotels in haridwar. Main Attractions from the hotel are: Chandi Devi Temple (4 kms), Mansa Devi Temple (2 kms), Daksh Mahadev Temple (6 kms), Sapt Rishi Asharm (3 kms), Shanti Kunj (4 kms), Bharat Mata Mandir (3 kms), Neel Dhara Bird Sanctuary (14 kms), Chilla National Park - Park Safaris (15 kms), Shivpuri (White water Rafting) (30 kms). There are 21 exquisite rooms in Hotel Landmark categorised as: Standard, Deluxe and Premium rooms. Spice "N" Nice Restaurant is located at the first floor of the hotel Landmark to satisfy your culinary senses. The restaurant offer authentic pure vegetarian delicacies, which serves Punjabi, South Indian, Chinese, and Continental Cuisines.